At 8 o’clock on a Friday morning, a red neon sign shines the words “ON AIR” inside the window of a classroom at Goshen High School. 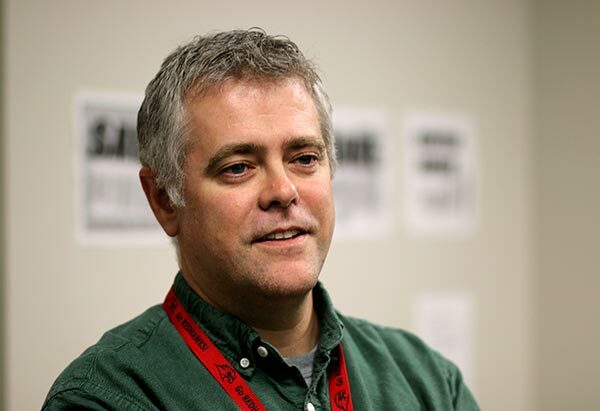 This is Schmucker’s first year as faculty advisor for GTV, the high school’s nine year-old news program. 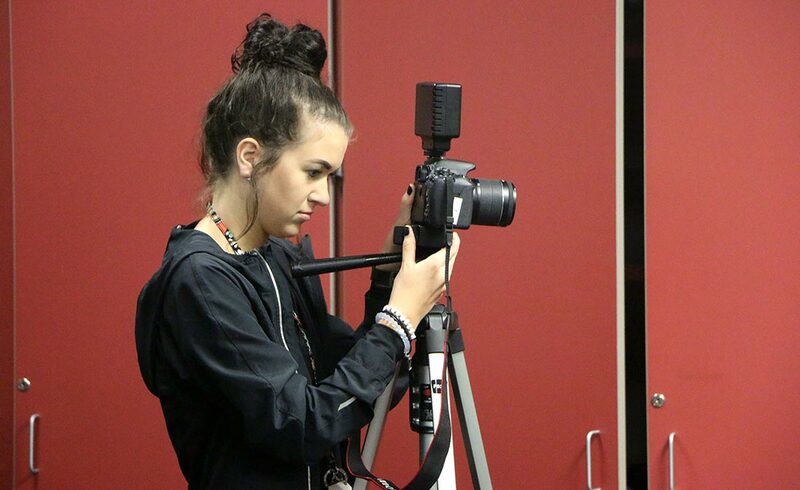 Though she has been teaching the group for only a few months, she is confident in the students’ ability to run every aspect of developing, shooting, and editing a successful television program. 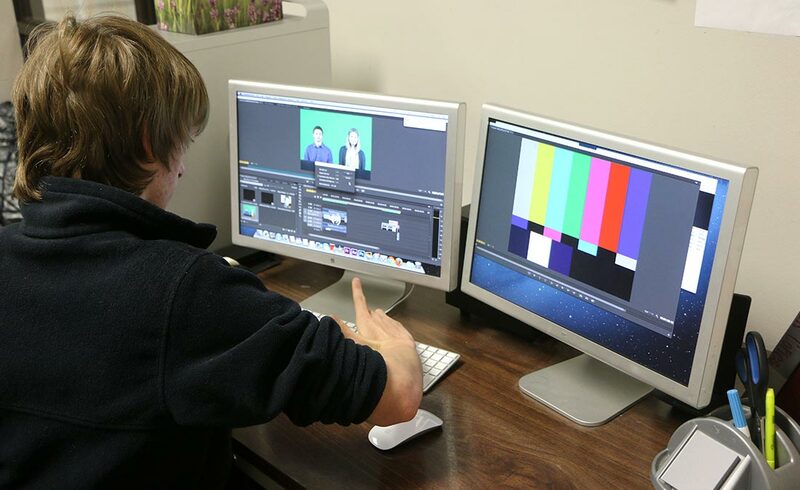 Schmucker and co-advisor Tom Zuber rotate the students’ roles – cameraperson, editor, prompter, anchor – so that they’re able to experience every aspect of the process. That way, by the time they graduate, they’ll know which skill set they’re most interested in. 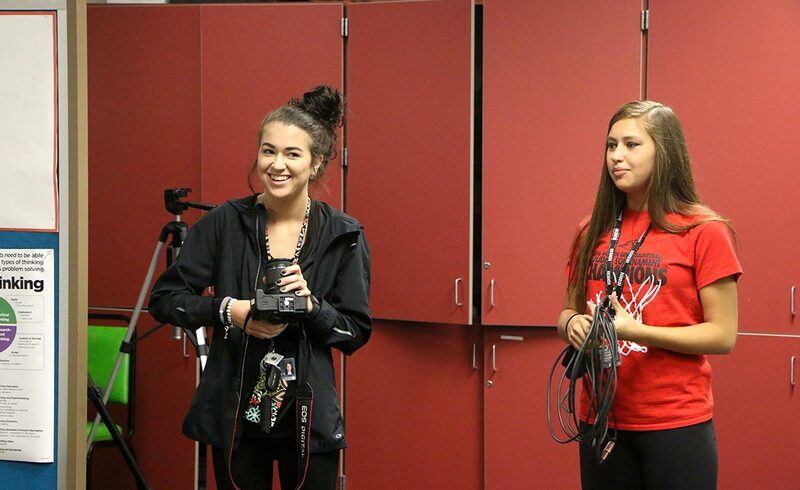 GTV started in 2007 and has been broadcasting to the student body ever since. For the first few years of production, the show focused primarily on sharing announcements. 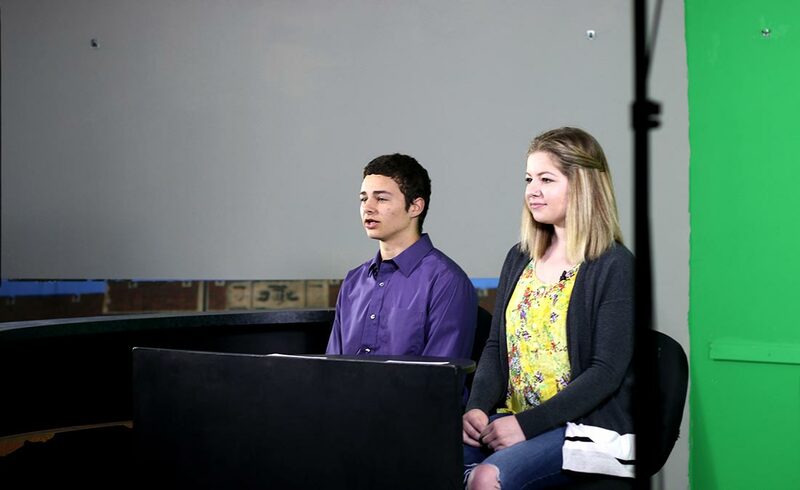 But for the last two years, students have been taking more control of the show’s content – and, according to Schmucker and Zuber, the show has benefited from the change. 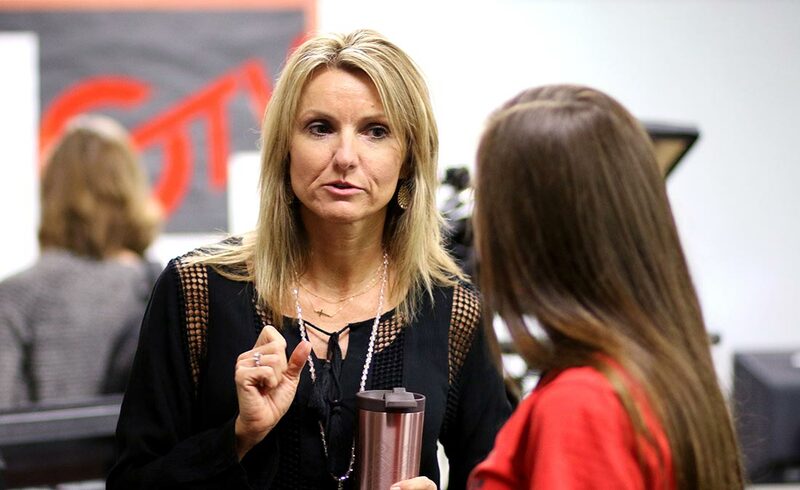 Previous news segments have included the construction of a new wing at the high school, coverage of local events (like the Electric Brew’s move from Main Street to its current Washington Street location), and pieces on school sports teams. 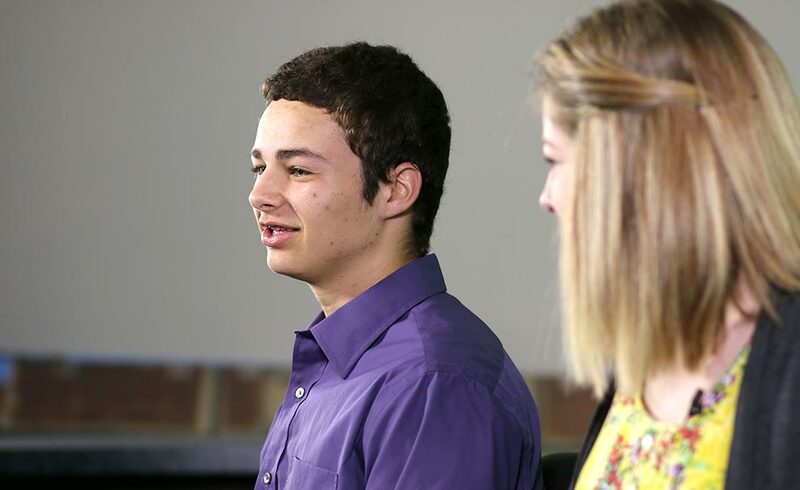 The “fun segments” include “#TeenCode,” in which the news team decodes teenage slang, or light-hearted PSA announcements about, for instance, the importance of using blinkers in the school parking lot. 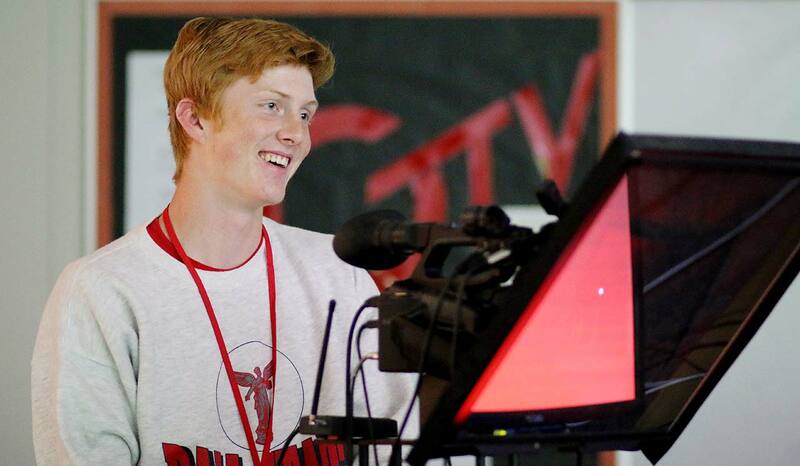 GHS junior Jordan Nemeth has been involved in GTV for nearly two years, and plans to study telecommunications and marketing at a state university next year. 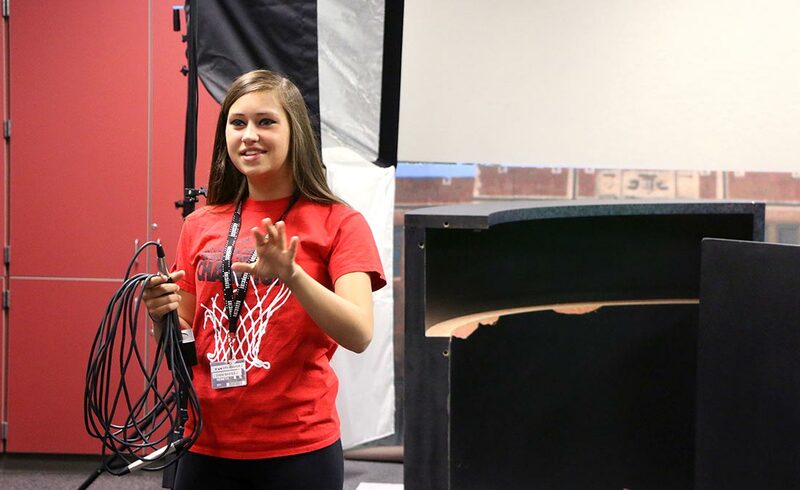 She says GTV has helped her develop her skills and explore her interests. So good, in fact, that GTV students have been invited to work with local news station WSBT to produce sections for the show. Some, including a segment Nemeth produced about the construction of the high school’s music department, have landed on the morning news. 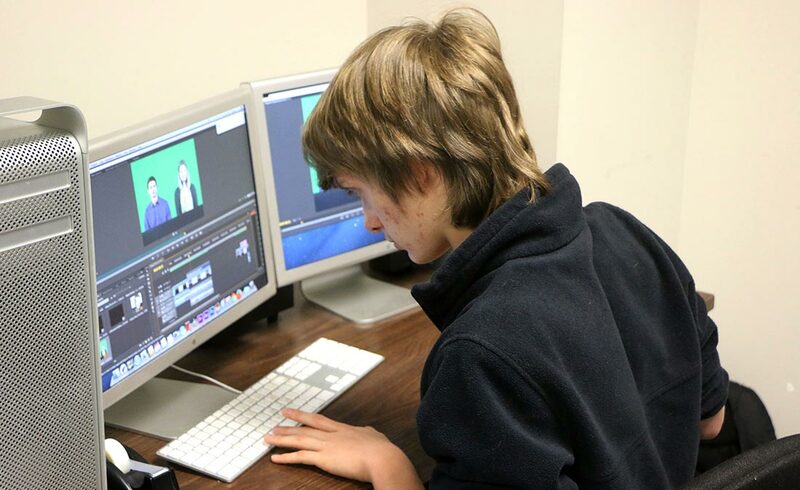 As much as GTV is about creativity and gaining hands-on experience, the class is also about students learning to take responsibility for their own education. And that job does get done: Every school day before the end of first and second periods, the five-to-10 minute shows are reviewed, exported, and uploaded to their YouTube channel. Then every student in the school is able to enjoy the show produced by their peers. The GTV team briefly soaks in that sense of accomplishment – but soon enough, they’re off to work on tomorrow’s episode.